We have created a list of steps you can take to securely pack your own dishware and fragile items. 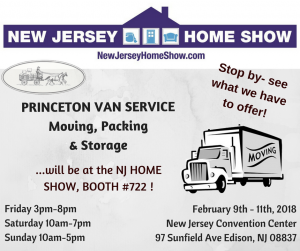 If you are too busy to pack yourself, feel free to contact Princeton Van Service at 609-497-9600 and we will be happy to provide a quote for packing and materials. Create a clean and organized work station. Dining room tables, kitchen islands, and other large tables make the best work space for packing dishes. If there is to table space available, clear out an area on the floor where you can work freely. Prepare your boxes by ensuring they are securely taped along the seems, re-taping or adding additional tape when necessary. Remember, the box will get pretty heavy as you add dishes. Fold the flaps back on each box and stack them on the floor near your work area. Place your tape, a magic marker and wrapping paper on or near your work area/space. If available, also add sheets of cardboard, dish towels and/or bubble wrap. Lay the stack of wrapping paper out flat for easy access and wrapping. 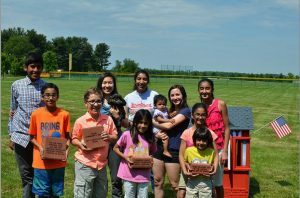 Pick up a box and place dish towels, bubble wrap or one or two pieces of cardboard at the bottom of the box. If you don’t have any of these items, lay several wads of paper, crumpled, at the bottom of the box for cushioning. There should be at least 4 inches of wadded paper bundles on the bottom of the box; NEVER lay the paper flat in the box as it won’t provide a suitable cushion for your dishware. Place a single plate in the center of the paper stack. Lay a few sheets of the wrapping paper across the plate and place another dish on top of it. Again, if available, you can use kitchen towels, bubble wrap, or cardboard pieces between dishes for additional cushioning. Do this for 3 or 4 plates. Wrap all of the plates together using a few sheets of paper and tape the paper at the top to create a neat bundle. Place the wrapped dishware carefully into the box, stacking them vertically. Continue to wrap your dishware into bundles as noted above and add them to the box. To minimize movement within the box, squeeze in other items between the stacks of dishware, such as dish towels, unused sponges, pot holders, etc. Don’t forget to place a cushion on top of the dishware for added protection. Secure the box top by adding several more pieces of tape on the seem and down each side of the box. 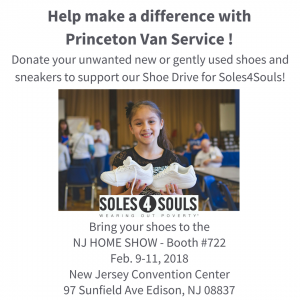 Help Us Support Soles4Souls With Our Shoe Drive! VISIT US AT THE 29TH ANNUAL NJ HOME SHOW IN NEWARK, NJ! 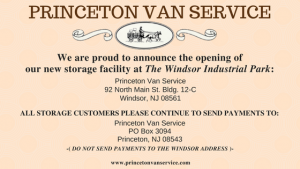 Princeton Van Service – New Storage Location!